I have two handwoven unmercerized cotton dish towels. These towels are woven using 100% unmercerized cotton. The background color is a natural white and the colors in the plaid are dusty spruce, grayed rose, grayed lavender, Nd dusty coral. They are 27.5 inches long by 16 inches wide. 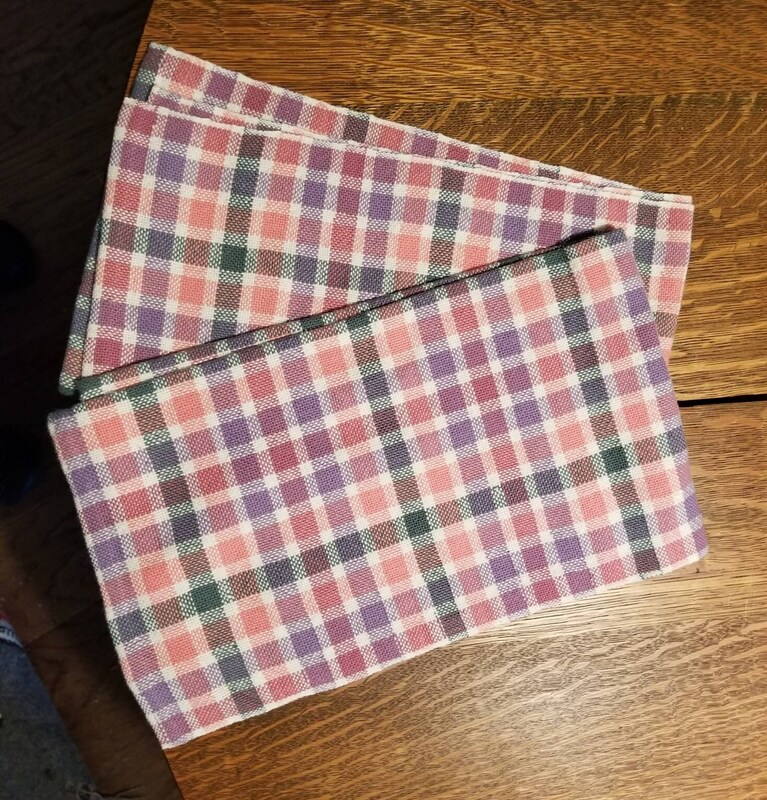 I have been using this type of dish towels for years (over 8 years) and they wash up beautifully and become softer with wear.